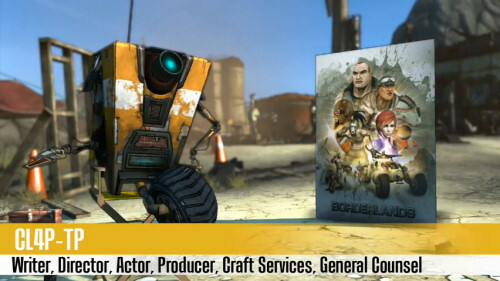 After the incredibly entertaining first episode of Claptrap's adventures in making Borderlands, we had high hopes for Episode 2. Thankfully it delivers as Claptrap gives us the skinny on working with difficult actors. According to him "it's no vacation" trying to get someone to blow themselves up on camera. Silly actors. Watch and learn the art of film making as explained the way only Claptrap can.